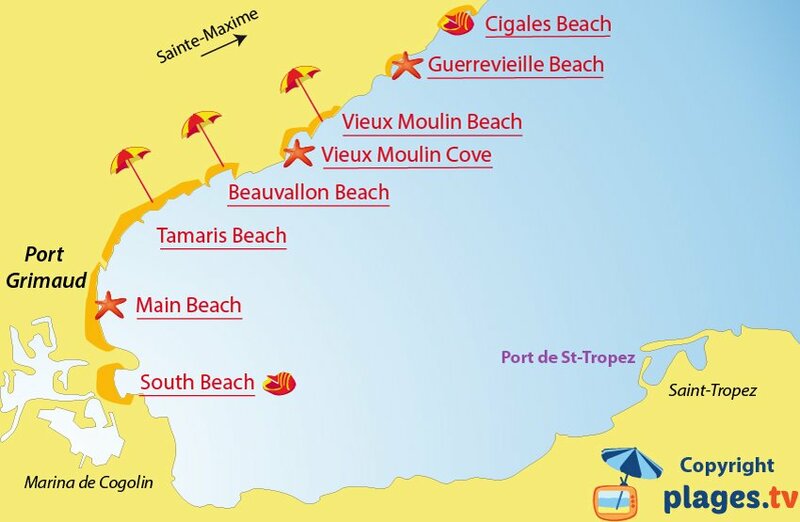 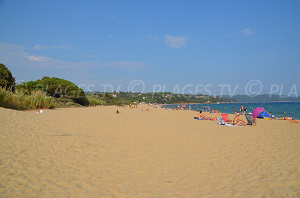 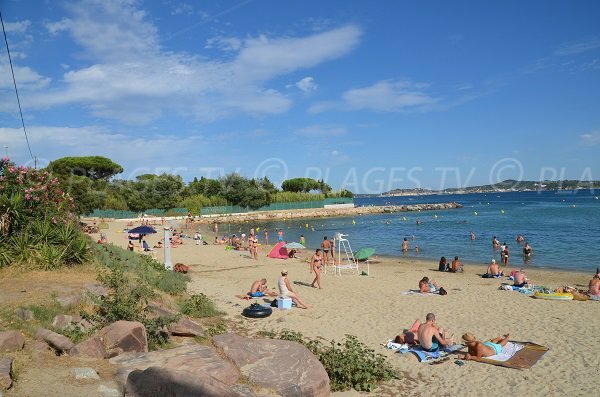 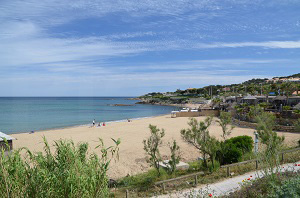 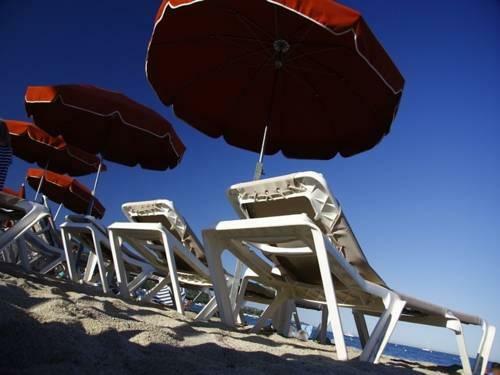 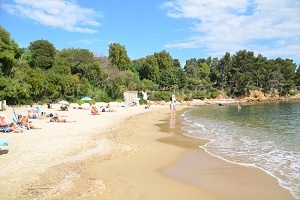 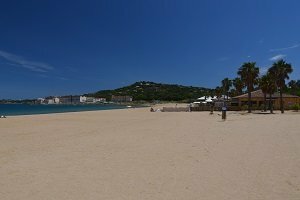 Beauvallon Beach in Port Grimaud is located across from Beauvallon, 400 meters after the campground “Mures” coming from St Tropez. 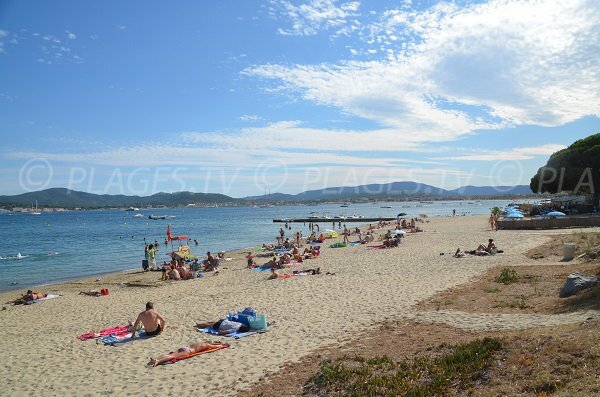 This beautiful sand beach extends over 200 meters and offers a nice view of St Tropez (we can even see its clocktower!). 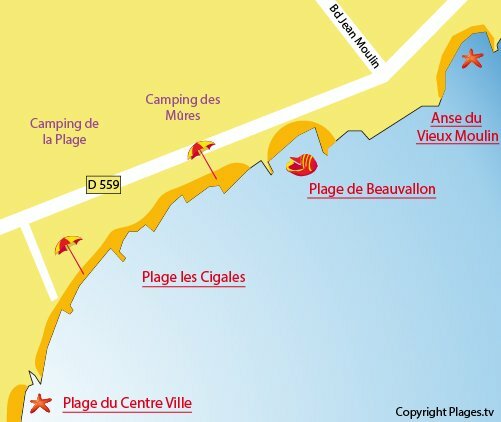 A free parking lot is found along the route. 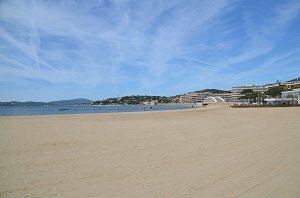 The beach has a lifeguard in the summer and we find a private beach on the right. 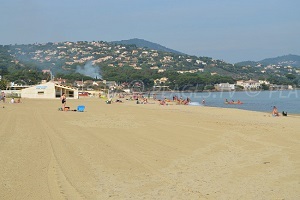 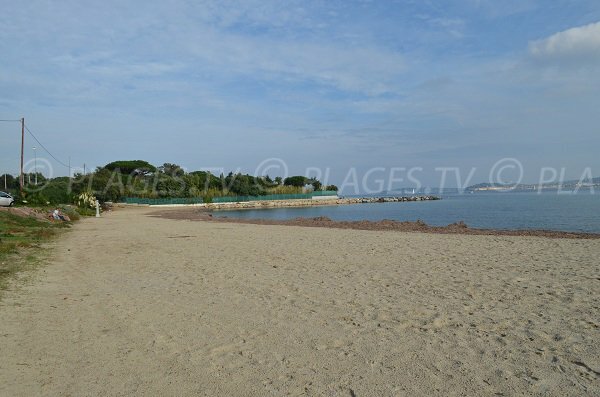 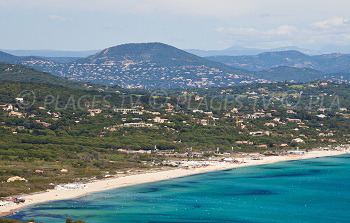 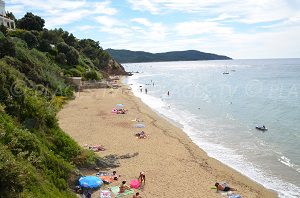 A nice view of the Massif des Maures and the gulf of St Tropez from this beach. 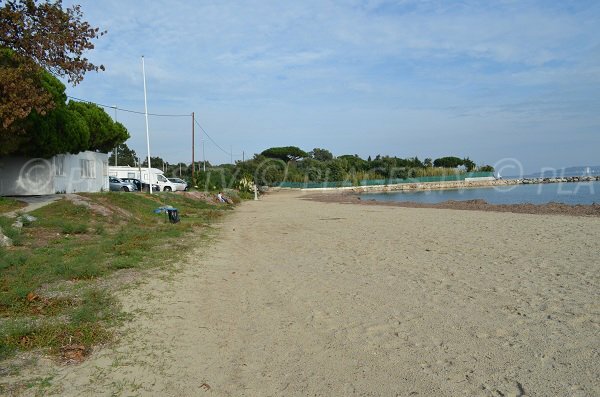 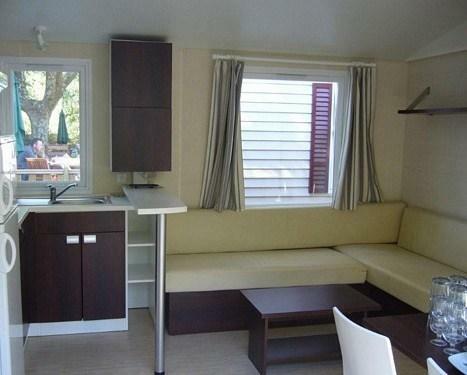 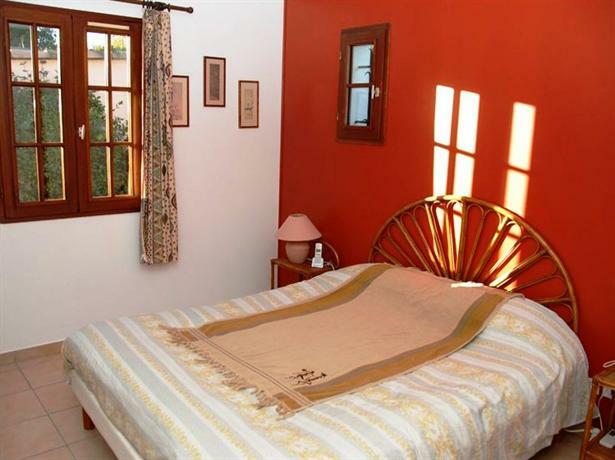 On the right side we find a private beach with a restaurant and mattress rentals (only open in the summer). 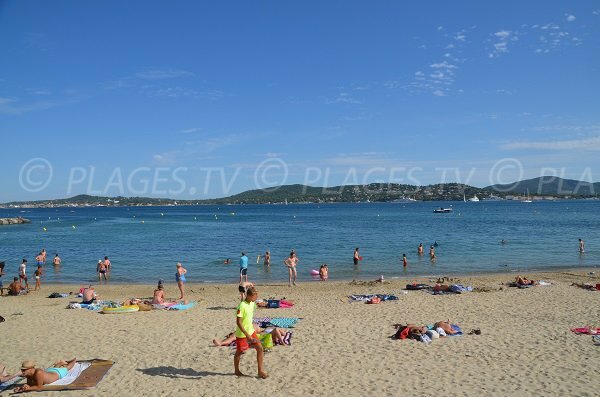 From this beach we make out Saint Tropez.